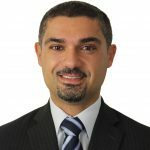 NSW premier Gladys Berejiklian announced on January 15 that the state government will be toughening drug driving penalties and increasing the number of mobile drug tests (MDTs), which is concerning to many given that the current regime is fundamentally flawed. NSW police will be doubling the number of MDTS from 100,000 to 200,000 a year by 2020. 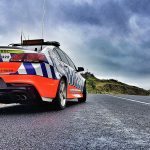 The maximum penalties for drug driving will be increased to two years imprisonment, fines of $5,500 and licence disqualifications of five years. These penalties may be considered unjustifiably harsh given the current regime does not ascertain whether a driver has a concentration of drugs that would render them under the influence, but rather tests for minute quantities which may not impair driving at all. This means drivers may test positive for a drug they took days prior to testing, the effects of which have long since worn off. Lismore magistrate David Heilpern ruled Joseph Carrall was not guilty of drug driving in February 2016, as there was no evidence to refute the defendant’s evidence that he had last smoked cannabis (the THC for which was present in his system) nine days before the test. 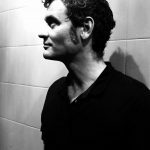 The court heard that police had advised Mr Carrall some time earlier that cannabis would not be detectable more than a couple of days after he took it, and his Honour accepted that the defendant had made an ‘honest and reasonable mistake’ that the drugs were no longer present in his system when he drove. 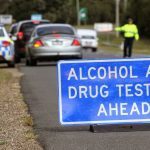 Some critics of MDT are strangely welcoming the announcement that NSW police will be adding cocaine to roadside drug testing. Currently, officers only test for amphetamines, MDMA and THC: the psychoactive ingredient in cannabis. Indeed for years now, questions have been raised as to why cocaine has been excluded from the testing regime. Officers use Dräger devices, which have the capacity to test for eight different illicit substances, one of which is cocaine. In Tasmania and the Northern Territory, police have been testing for a wider range of drugs for decades, including cocaine. NSW Greens MLC David Shoebridge is a vocal opponent of the MDT regime. And while he stresses that a “rational program would test for impairment, not the mere presence of these drugs,” he welcomes the addition of cocaine. 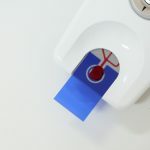 In recent years, the federal government has been testing the nation’s sewage to ascertain the nature and type of drugs Australians are using. Released last July, the second wastewater drug monitoring report suggests Sydneysiders are consuming far greater amounts of cocaine per capita than inhabitants of any other major city. And as Shoebridge has pointed out, the epicentre of cocaine use in this country is in the “prime minister’s seat of Wentworth in Sydney’s eastern suburbs.” In fact, the report found that the levels of cocaine in the wastewater at Bondi Sewage Treatment Plant were six times the national average. Indeed, those in positions of power might soon start being booked for traces of drugs they took days before police pulled them over. During her recent drug driving crackdown announcement, Ms Berejiklian mentioned that the government is planning to seek the advice of road safety and medical experts on appropriate restrictions for drivers who need to take prescription drugs. “And that’s the simple answer,” he added. 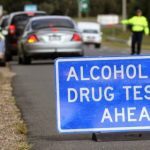 Random breath testing (RBT) for alcohol in Australia is an evidence-based method of improving road safety, which tests for levels of alcohol in an individual’s blood that have been scientifically proven to lead to driver impairment. As the authors of a recent research paper into Australian drug driving laws point out, RBT transformed the once commonplace practice of drink driving into a “highly stigmatised criminal behaviour,” and thus improved road safety. The Norwegian government has had a drug driving regime in place since February 2012, which sees police testing drivers for a range of non-alcohol drugs at levels that have been proven to impair driving abilities. The list of twenty psychotropic drugs, includes the three illicit substances that NSW authorities currently test drivers for at any level, as well as cocaine, and a range of common prescription drugs, including benzodiazepines. But, while the current MDT regime in NSW continues to only test for mere traces a few illicit substances, it remains a backdoor way to punish people for taking illegal drugs. And it does little to actually improve road safety. These days, most Australians don’t drink drive. And on occasions when individuals do accidently have one drink too many, they seriously consider whether they should drive. It’s understood one can lose their licence for drink driving, and people are well aware they could have an accident. Now, take the example of an individual who uses methamphetamines. If they’re about to go on a road trip, and they’ve taken some ice on the day prior to doing so, there’s really nothing stopping them from taking some more and driving, if they believe they can drive safely under the influence. Because, either way, if they get pulled over, they’re going to test positive. And then look at the case of a person who uses Valium. 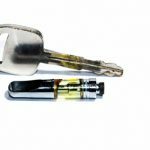 They don’t necessarily consider how much they take before driving, because police aren’t testing for that substance. And it’s only just occurred to the government to start thinking about the possibility of restrictions for drugs like Valium. 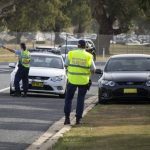 So, if an individual who takes Valium is feeling a bit anxious before they get behind the wheel of a car, they might actually take a couple more tablets to calm their nerves, and NSW police officers will simply wave them on through.